During the last decade, the agriculture sector in India has experienced a sharp drop in the availability of labor despite the sector contributing significantly to the overall growth of the Indian economy. In 2013-14 the agricultural and allied sectors contributed to 13% of India’s total GDP. Yet the agricultural workforce reduced by 30.57 million with numbers dropping from 259 million in 2004-05 to 228 million in 2011-12. The drop is in large part due to increased opportunities in the non-farm rural sector with the service and manufacturing sectors wooing the shrinking labor force with higher wages and more regular incomes. This conundrum was revealed in recent VDSA research at ICRISAT which also revealed that farmers are struggling with having to pay higher wages to those laborers who are still working in the agricultural sector. 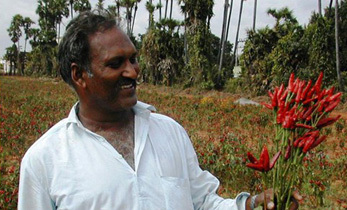 “The VDSA research has revealed that farmers have responded to this twin challenge in three complementary ways: by replacing human and bullock labor with machinery, increasing cultivation of less labor intensive crops and increasing the use of herbicides to control weeds,” according to Dr Uttam Deb, Principal Scientist, Economics, Markets, Institutions and Policies, ICRISAT. 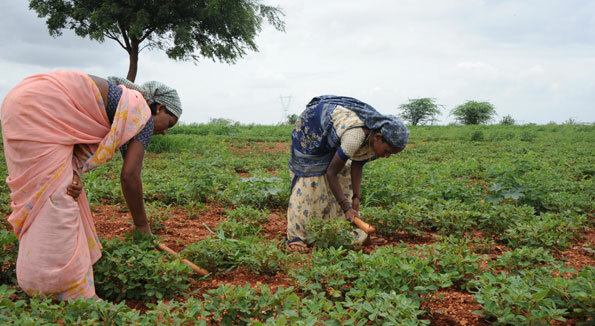 One example in the Vidarbha region of Maharashtra illustrates this trend – particularly in relation to the cultivation of less labor intensive crops. 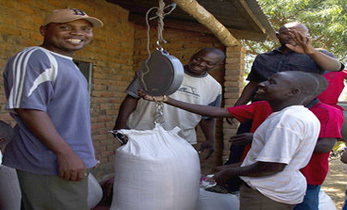 Farmers in this region have traditionally cultivated cotton which up until 2006-07 occupied three-fifths of the total cropped area. Now they have switched to soybean cultivation which occupies 70% of the total crop area in the rainy season. This is also supplemented by growing chickpea in 14% of the crop area. The benefits of this shift are tangible: cotton growing requires around nine months for production and is harvested over four or more pickings. Soybean on the other hand requires only 80 to 105 days depending on the varieties used for cultivation. The dramatic shift in cropping patterns during the period 2007-8 to 2014-15 resulted in per hectare labor use in cotton production reduced by 43% (from 153 person-days to 87 person-days). 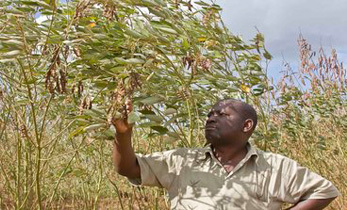 During the same period labor use in soybean production was reduced by 58% (from 55 person-days to 23 person-days) and in pigeonpea production by 52% (from 48 person-days to 23 person-days), due to the increased reliance on machinery for tillage, harvesting and threshing operations and the introduction of herbicides to control weeds. 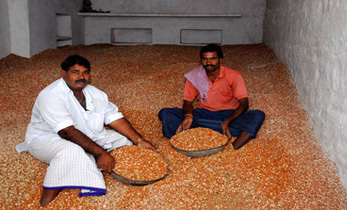 How to reduce real prices of agricultural commodities and sustain rise in agricultural wages? 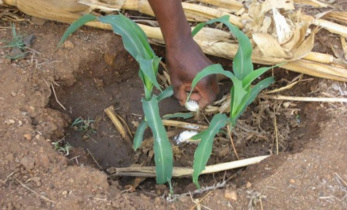 The VDSA studies have shown that an increase in agricultural wages has increased income of the labor households – improving their food security and reducing incidences of poverty. So the challenge is how to maintain these wage increases while at the same time reducing the per unit cost of production of agricultural commodities so that farmers and laborers can benefit from these increased wages. 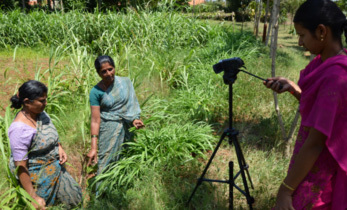 ICRISAT has a real role to play in meeting these seemingly conflicting demands.